I am the ultimate pasta fan and this recipe gets a perfect ten out of ten! I absolutely loved how creamy and flavorful this dish was–not to mention that it’s a huge crowd pleaser! This is a quick and easy week night meal to make for your family and friends. Seems like a lot of ingredients but the majority of these things you already have in your refrigerator/pantry! Let’s get started! Wash chicken then dry with paper towel. Grab your cutting board & cube chicken into bite size pieces. Season liberally with salt, pepper and paprika. In a sauce pan, heat olive oil and begin to cook chicken breast. Cook chicken until nice and perfectly browned on each side. Once chicken is done, remove from pan and set aside. While sauce is thickening, defrost spinach in microwave and in a separate pan saute with a teaspoon of butter. Once warmed through, add spinach to sauce, mix and cover and let boil for another 5 minutes on medium low. Add chicken back into mixture and cover for an additional 2 minutes. 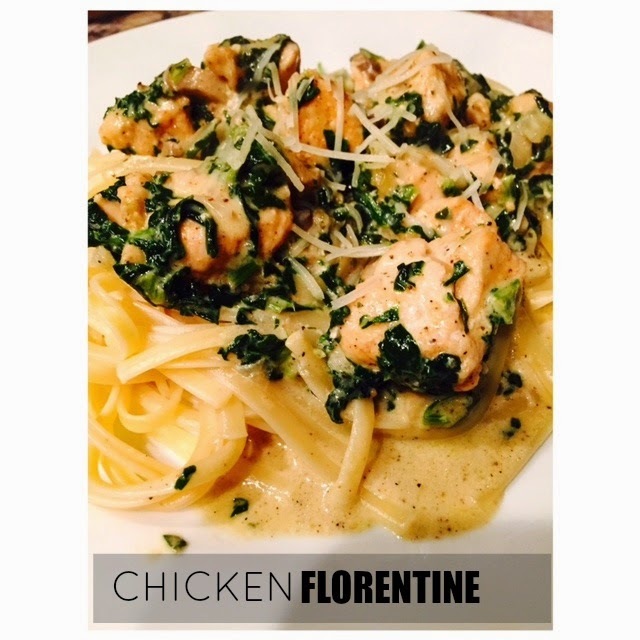 Cook pasta according to box instructions and serve with a healthy serving of chicken florentine sauce. 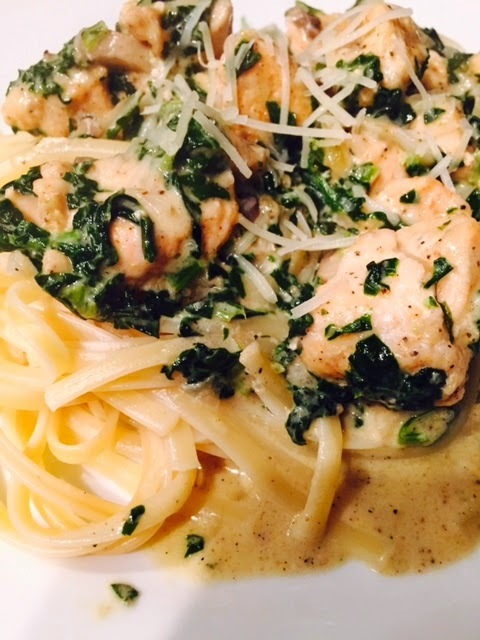 p.s if you love pasta you’ll love this recipe as well!